Hey Sewcialists! We had so much fun sewing Red October, we’re going to keep the party going! For December, our focus color will be green. As with Red October, we want to keep it fun and easy, so the only rule is that you sew green. And have a blast! Any green counts, and it doesn’t have to be a solid. Prints that include green or using green as an accent color are totally great too. No rules about what to sew either. Want to make a green print dress? Awesome, we wanna see it! Putting up some green drapes in the kitchen? Sweet! Post them in the Flickr group! Got a yen to make a bag with a bright green lining? Perfect! 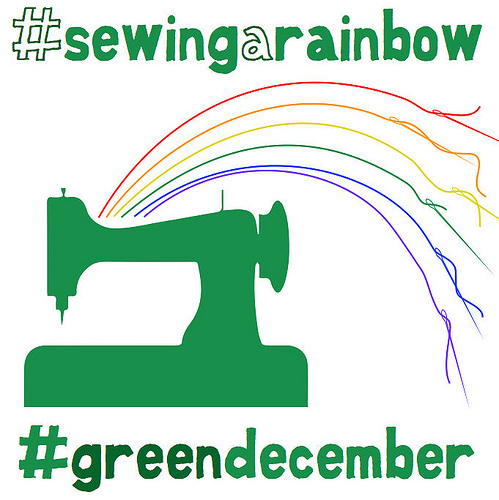 Be sure to tweet your blog post, and use the #sewgreendecember hashtag so that we can all check out your work. So, dive in your stash or hit your favorite fabric shop (or both, who am I to judge?) and find something green that makes you happy. Be sure to share it with us in the Sewcialists Flickr group, and use the hashtag #sewgreendecember on Twitter and Instagram. We can’t wait to see what you sew! Sweet! I just uploaded my project pic to the Flickr group! I am going to try to use a small piece of vintage green 1940s fabric sent to me by Cheleenan. Nice! Can’t wait to see it! This may be the push I need to sew p that kelly green wool that has been in my stash for close to three years. No more procrastination! Go for it!! It’s the perfect time to sew wool! 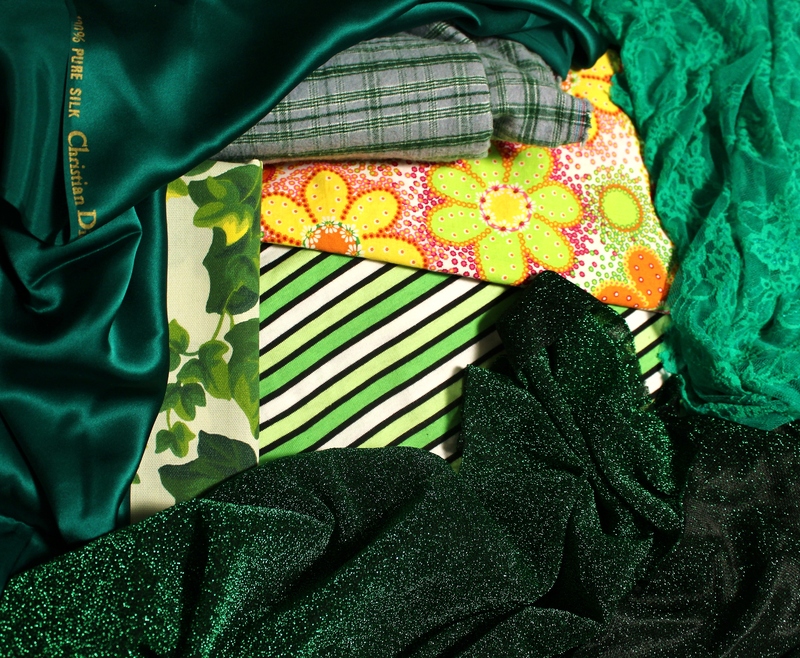 I am not sure I have green in my stash – time to shop! Great post, Katie! I’ve got a few green projects in mind… we’ll see how many of them actually get done! ?